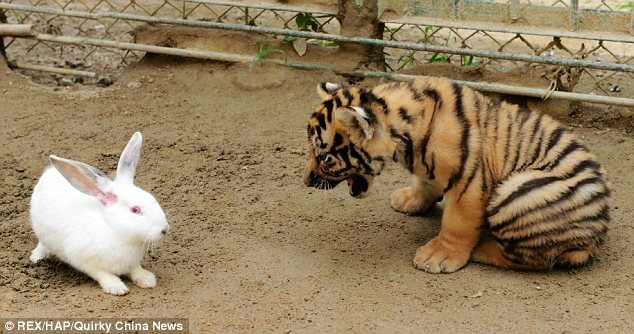 You might think that tiger cubs would be hard-wired to go after their prey aggressively from an early age. But when these wild-beasts-in-training were presented with a juicy rabbit, their predatory instincts seemed to fail them. 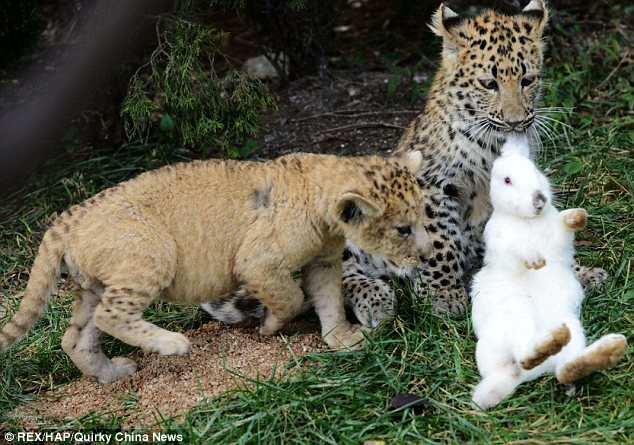 The white rabbit simply jumped around their enclosure, eluding their grasping paws as it outpaced them. 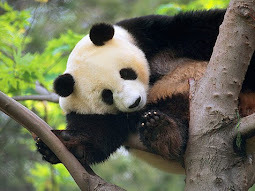 The charming scenes took place at Qingdao Forestry Zoo in Shandong province in northern China. 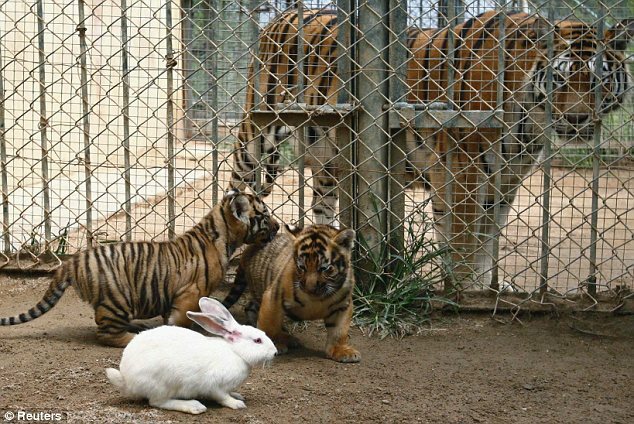 Zookeepers there put the rabbit in with the tiger and leopard cubs when they reached the age of two months. 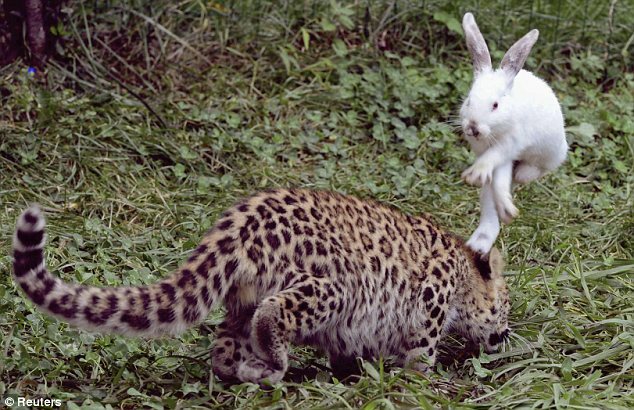 They hoped to test how well developed the big cats' wild instincts were by seeing if they would be able to hunt down the rabbit. However, the intended prey was apparently able to escape the fierce animals' attention. 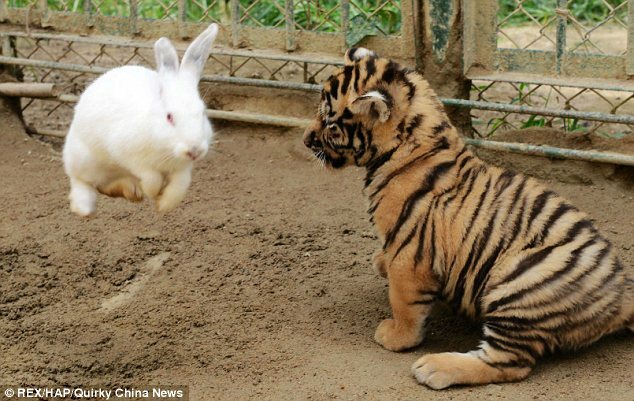 The tiny tigers even seemed to shy away from the rabbit, though it was only a quarter of its size. 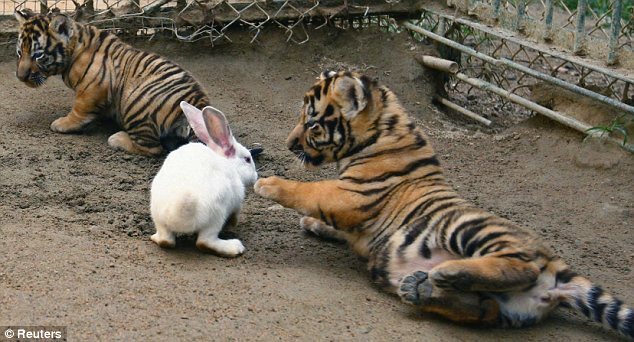 Photographs of the chase show that the worst any of the predators was able to do was to grab hold of one of the rabbit's ears. 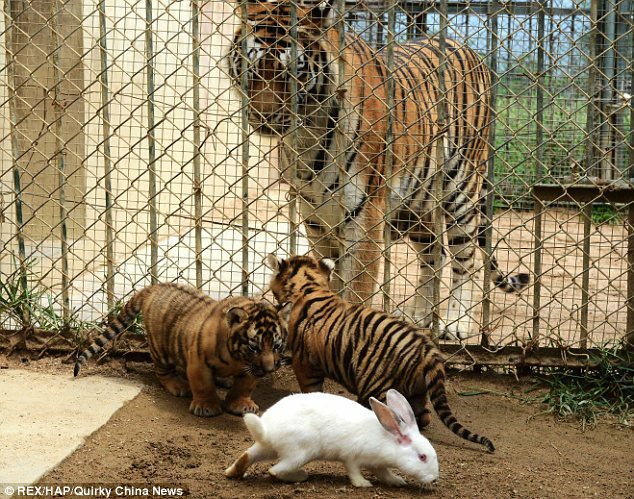 The scene was presided over by a mother tiger, separated from the youngsters in another cage.